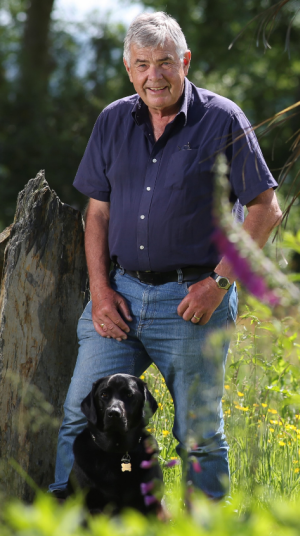 Ian Dunsire retired 14 years ago at the age of 55 and is using his SIPP to supplement his final salary pension. Dunsire now lives on a smallholding in North West Wales with his wife Barbara, and various labradors, cats and chickens. He adds: “My personal belief is that diversity is key. I currently have around 55 holdings in my SIPP and a further 30 in my investment ISA.” He manages both of these through AJ Bell. Dunsire says one of his best performing investment trusts has been the Biotech Growth Trust (BIOG). He says since investing in this trust he has seen as return of more than 400%. This trust has a four-star performance rating as well as a coveted Silver Analyst Rating. Holder says the manager Richard Klemm brings industry and investment experience, having completed extensive studies in molecular and cell biology, and economics. He points out that the team of around 100 is dominated by industry experience that brings “unparalleled insights to bear for investors”. The trust invests in both private and public equity and debt within the biotech and healthcare sectors. Dunsire says other strong performing funds in his SIPP include the investment trusts Baillie Gifford Shin Nippon (BGS) and Scottish Mortgage (SMT). Baillie Gifford Shin Nippon invests in medium and small-cap companies in the Japanese market. According to Morningstar data this trust has delivered annualised returns of 43.72% over the past year and 34.79% over the past three years. Scottish Mortgage has the highest possible ratings from Morningstar, with five stars and a Gold Analyst Rating. This is a global trust, investing in larger companies. This trust is also run Baillie Gifford, managed by its Long Term Global Growth team, headed by James Anderson and Tom Slater. Holder says: “The investment approach followed her focuses on identifying high growth companies and holding them for the very long term to gain the benefit of compounded growth. Dunsire says that while these three investment trusts might appear higher risk for a retired investor, he says they meet his investment goal of delivering capital growth. He says he believes this is the best way to ensure that his SIPP will continue to be able to deliver a decent monthly income. He adds: “I haven’t changed my investment strategy as I have got older, which I guess, for my age is quite contrarian. Everyone seemed to be telling me to get out of equities and go ‘safe’ with cash and gilts. If I had followed such advice I would literally be several hundred thousands pounds worse off. He points out that he has stuck to his buy-and-hold approach. “Rarely do I ever do more than two transactions per month, and many months see no buy or sell activity at all. He adds: “Two days after Brexit my SIPP and ISA were down over £40,000 and it would be easy for panic to have set in. Two weeks later both had recovered and added a further £80,000 so my main policy is usually just to sit tight. Investor Views: "I’m Bullish about UK Stocks"